Cannaregio is one of the six districts (Sestieri) of the island of Venice. The entire north of the old town, from the main railway station to the church of Santa Maria dei Miracoli northeast of the Rialto Bridge, belongs to Cannaregio. It is a very interesting district without big sights that make Venice so famous. Many tourists cross Cannaregio on foot on the way from the train station to the Rialto bridge. 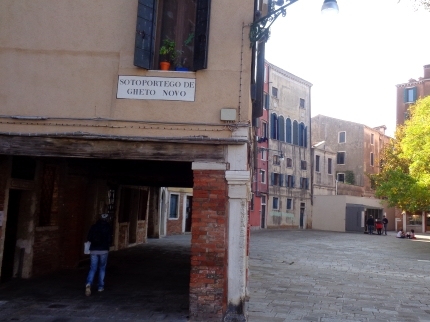 Some visit at least the Jewish quarter of Venice, the most visited sight in Cannaregio. But the interesting north of the district is only visited by a very small part of the tourists. Especially here, you find something like the good old Venice. Angled lanes, small shops and pensions and some very good cafes, bars and restaurants. In Cannaregio you can still shop at a normal butcher's or drink an espresso for one euro in the bar around the corner. We often go to Cannaregio because of the good and cheap restaurants. 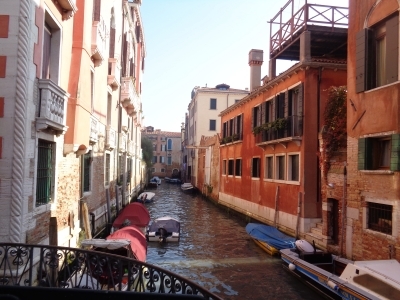 Many of our restaurant tips in Venice are in Cannaregio (see below). As already mentioned above, there are none of the top 10 sights of Venice in Cannaregio. A must is to visit the Jewish quarter around Campo di Ghetto Nove. Worth seeing are the Jewish Museum, the Synagogue and the monuments. The word "ghetto" comes from here and has made it from Venice to all major European languages. The Jews were imprisoned at night in their neighbourhood. Ghetto actually means foundry in Italian. There was an iron foundry on the site of the Jewish quarter, which is why the quarter was called a ghetto even before the Jews moved in. 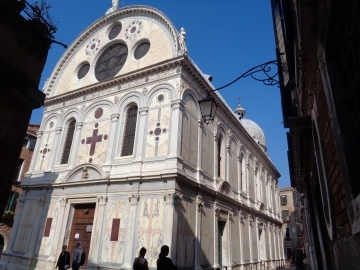 Also one of the most famous churches of Venice is in Cannaregio, the Chiesa Santa Maria dei Miracoli (Church of the Holy Mary of Miracles). The almost square church is built in the style of the early Renaissance (15th century). It is often called simply marble church because of the great facade. Very nice building, which costs 3 Euro entrance fee, is worth it. Miracoli means translated miracle (plural). Many churches in Venice cost admission. However, there is a ticket for 15 churches for only around 10 euros. With this ticket you can visit many of the important churches of Venice within 30 days. If you visit more than two churches, you can already savedmoney. You can buy the Chorus Pass on the Internet on this website. 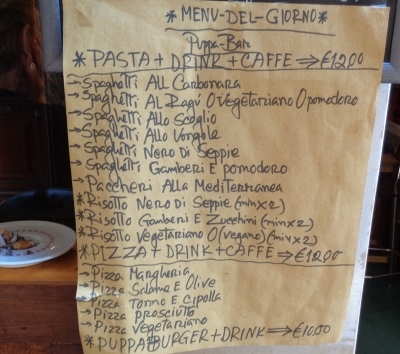 The following are some recommendations for good and affordable restaurants and simple pubs in the north of Venice. We have limited our recommendations to two regions. On the one hand you will find some insider tips only a few meters from the main tourist route between Santa Lucia Central Station and the Rialto Bridge, on the other hand recommendations for the area around the ferry terminal Fondamente Nove in the very north of the old town of Venice. All restaurant tips can be found by entering the name of the restaurant and Venice in Google Maps on the mobile phone. Status of information and prices autumn 2018 and early 2019. Restaurant La Colombina: Only a few steps away from the busy main street Calle del Pistor towards Canal Grande lies one of our favourite restaurants in Venice and our greatest Cannaregio insider tip. La Colombina, translated "The little dove", is not expensive for Venice, has very nice staff and fresh, interesting dishes. As a starter (Primi Piatti) we recommend the Gnocchi alla Colombina. A great main course are for example the quail in the style of Hemingway or the sea bream with zucchini. Snack "Fried Land": This is probably the cheapest restaurant we know in Venice with good food. The Italian snack bar serves delicious homemade pasta. A portion of noodles with tomato sauce costs only 3.99 euros! In addition there are for example very good salads like the salad with seafood for 4.99 or mixed, fried fish and seafood (Fritto di mare) for unbeatable 5.99 euros. Fried Land is a great example for the thesis that Venice is only overpriced where tourists pass by directly. If you deviate only 10 meters from this route, you pay extremely much less. The Fried Land is rather a snack with only few seats, many customers take the food with them. It is only a few metres away from the tourist path Strada Nova, also between main station and Rialto. 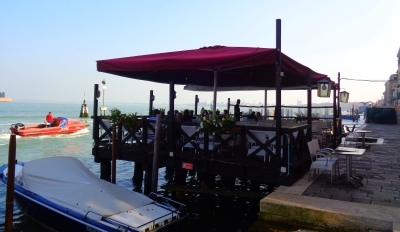 The Ristorante Pizzeria Da Alvise is located directly at the large ferry dock Fondeamente Nove in the north of Cannaregio, where the ferries to the popular islands of Murano, Burano and Torcello depart. One sits very nicely on a terrace in the sea. Da Alvise has a very large selection of good pizzas. The Pizzeria Cupido almost next door is a bit cheaper and also not bad. There you can also buy good spaghetti carbonara for 8 Euro..
Hidden in the small streets of Cannaregio are two more jewels under the restaurants in Venice. For more than 100 years the Osteria alla Frasca has been serving the best Venetian food. Very nice atmosphere. Attention, opening hours: only from 12 to 14 o'clock and from 19 o'clock, Monday and Wednesday only in the evening. A classic insider tip among the restaurants in Venice. Somewhat hidden, but easy to find with the smartphone including Google Maps. Not far away and cheap is the small restaurant Puppa Bar. It is a nice bar where you can also eat. There are offers like pasta dishes, a drink and a coffee for 12 Euro or pizza+drink+coffee for 10 Euro, a real insider tip. The narrow restaurant is a great place to get to know people, a secret tip if you are travelling alone. The Puppa Bar is also suitable for a drink in the evening. A Becks beer costs 3 euros, the famous Bellini cocktail 6 euros, a Mojito 5 euros - for Venice spot cheap! For more information on a great guided tour of the Cannaregio district after dark and other tours, visit our Venice Guided Tours page. It is the second largest district of the lagoon city.